10th of January 1969, 16 years old Ketil Bjørnstad debuted as a pianist with the Oslo Philharmonic Orchestra in the University ceremonial hall, the Aula. The acclaimed writer and musician celebrates 50 years as a musician and artist in 2019, and naturally this should and will be celebrated. Bjørnstad’s 50th anniversary as an artist kicks off with a reissue of “Rainbow Sessions”, earlier released as a limited edition in 2006. This is Ketil Bjørnstad’s homage to the world known Rainbow Studios and the Steinway grand piano. When studio owner and sound guru Jan Erik Kongshaug in 2004 was moving the studio to a new location, the idea to make the last to record in the old studio and the first to play in the new, was born. Two solo piano albums were planned, at the time it turned into three, and for this release evolves into four. 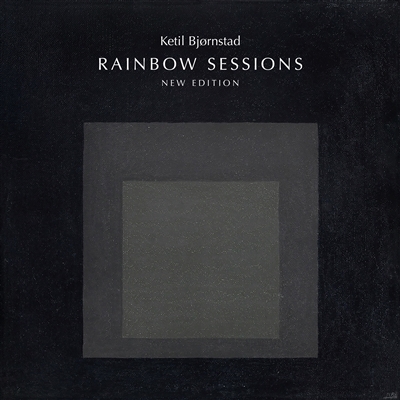 This celebratory edition consists of five different Rainbow sessions recorded in the period 2013-2017, which Bjørnstad has put together into a fourth bonus CD. Everything is presented in a new, wonderful design, accompanied by newly written liner notes by Bjørnstad.